Camp Nowhere is a product of every kid's dream about that one perfect summer - that if we just had the time and resources, we could turn those three school-free months into something worth remembering forever. In this case, it means taking over a former hippie commune and turning it into a playpen of Super Soakers, Jetskis, and electric guitar solos, all in the name of non-specific, PG-rated '90s rebellion. Christopher Lloyd adds to the film's far-out vibe by re-imagining his iconic Taxi burnout Reverend Jim as a former flower child who doubles as a kind of camp counselor/enabler of unsupervised minors. 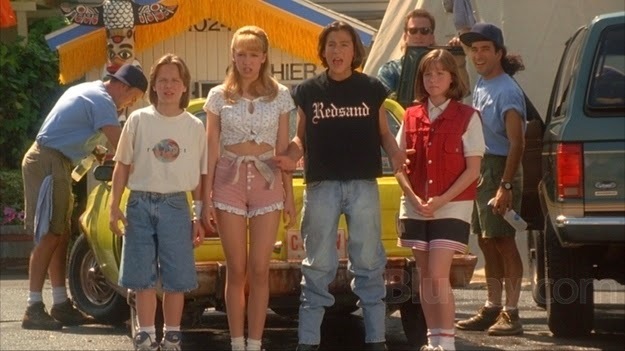 Also, Brian Rudloff returns to the show to share his own memories of cinematic summertime bliss, and to help us decide if Camp Nowhere is more than a typical wish fulfillment fantasy.